After months of speculation Amazon Marketplace is expected to launch in Australia by the end of this week. According to Lifehacker Australia, Australian Amazon Marketplace will soft launch Thursday 23 November 2017. This will mean the site will be live for online discount shopping day, Black Friday, which will be held on Friday 24 November 2017. Australian Food News contacted Amazon to confirm the launch of Amazon Marketplace Australia but did not receive a response prior to publication of this article. Amazon Marketplace is an online platform that allows businesses to list and sell their own products alongside Amazon goods. Sellers who list on Amazon Marketplace must give a percentage of their sales to Amazon. The arrival of Amazon in Australia has been a hot topic throughout 2017 with marketing agency, Datasauce, saying in October 2017 that Australian retailers are “completely unprepared for Amazon’s arrival”. After surveying the country’s current retail businesses, Datasauce said 10 per cent of its survey respondents were not even aware Amazon was on its way to Australia. In September 2017, the Australian Small Business and Family Enterprise Ombudsman wrote to Amazon asking them to ensure they comply with Australia’s unfair contract terms legislation. 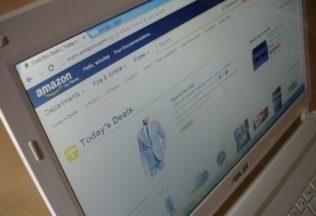 At the time, Ombudsman Kate Carnell said Amazon Marketplace contracts with businesses in the US would not be compliant in Australia. Under US terms, Amazon reserves the right to refuse service, terminate accounts, terminate rights to use Amazon services, remove or edit content, or cancel orders at its sole discretion. “This may be considered unfair as action can be taken by one party, Amazon, but not the other party, the vendor, to terminate the contract,” Carnell said.